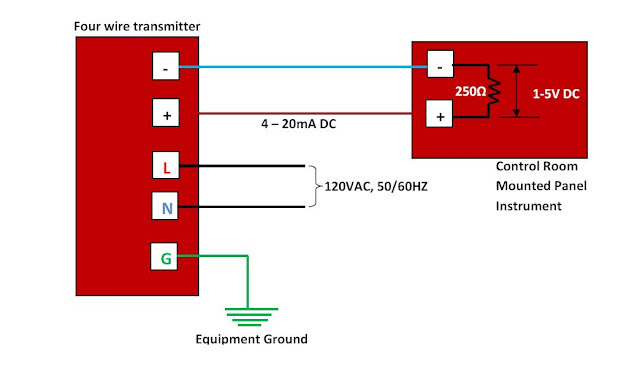 Note that in all the transmitter wire configurations shown above, a load resistor of 250Ω is used. Usually process controllers used in instrumentation systems are not equipped to directly accept milliamp input signals, but rather voltage signals. 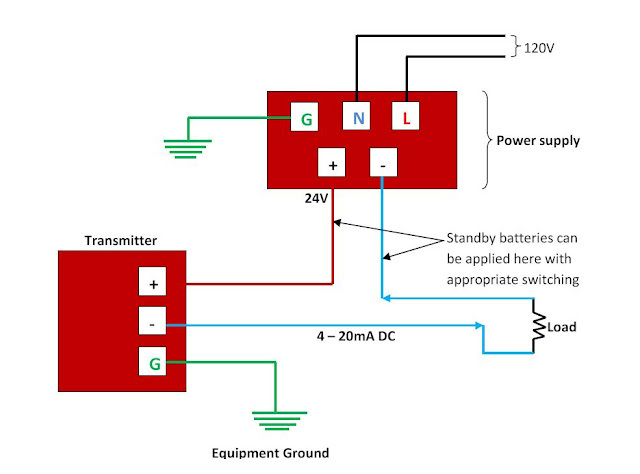 For this reason a precision resistor is connected across the input terminals of the controllers to convert current signals from transmitters into standardized analog voltage signals that controllers can understand. 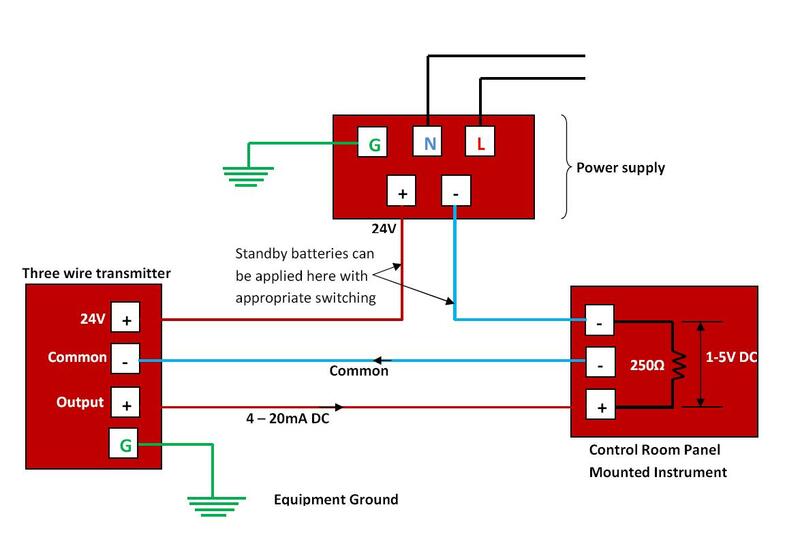 A voltage signal range of 1 to 5 volts is standard, although some models of controllers use different voltage ranges and therefore require different precision resistor values. If the voltage range is 1-5 volts and the current range is 4-20 mA, the precision resistor value must be 250 ohms. In the transmitter wire configurations discussed above, it is assumed that a voltage signal range of 1-5V and a standard current signal of 4-20mA are used.